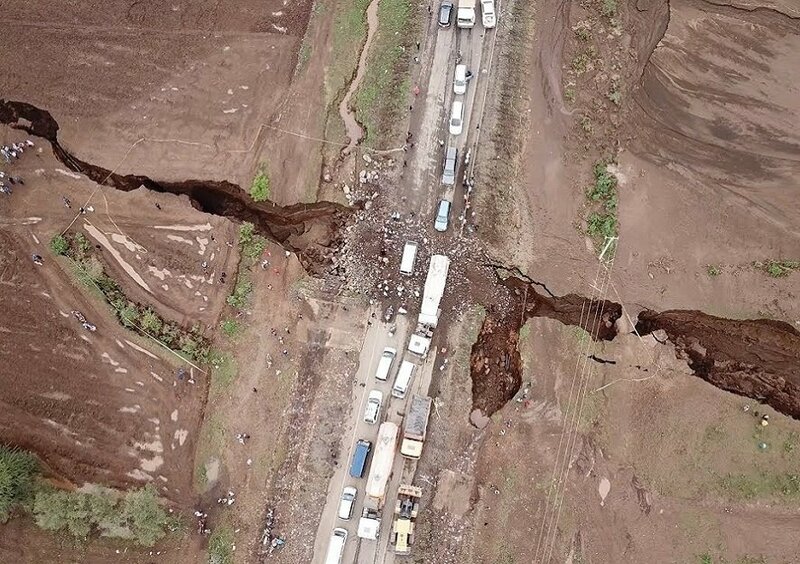 After heavy rains and seismic activities on Monday, the earth has split open at Kenya’s Rift Valley leaving a huge tear that is more than 50 feet deep and more than 50 feet wide weaving through the arable land in Narok County. “The Great Rift splits Africa into two plates. With what is happening we have established one plate which is the Somali plate is moving away from the other plate at a rate of 2.5cm. In the near future if this happens we shall have the Somali plate separating from the other Nubian plate,” Kenyan geologist David Ahede tells local media Daily Nation. He said that earth movements have resulted in weaknesses and the weak zones form fault lines and fissures which are normally filled by volcanic ash, most likely from the nearby Mt Longonot. He believes the origin of the movements is a shield volcano called Suswa that lies at the base of the Great Rift Valley with a history of tectonic and volcanic activity. 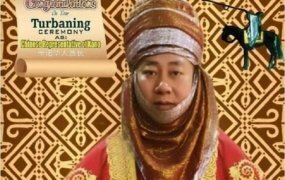 “You cannot stop a geological process because it occurs from deep within the crust of the Earth,” he said, adding that more studies need to be conducted to understand the geology of the area and map the fault lines. The fissures have torn the busy Mai Mahiu-Narok road apart and the Kenyan government has filled that section with rocks and cement to allow vehicles to ply the route. Houses have also been split into two including the house of a 72-year-old woman who was eating dinner with her family when their home was cut into two. Below is a drone shot of the deep tear as captured by Kenya’s Daily Nation.